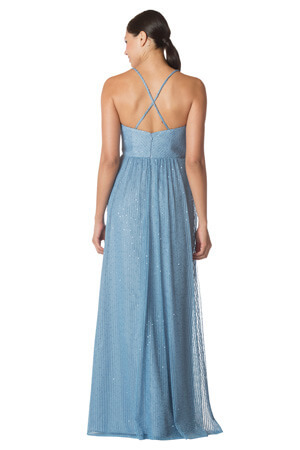 Sweetheart neckline with center knot and spaghetti straps that cross in back. Empire silhouette. The colors displayed on our website may vary from screen to screen and will differ from the actual fabric color. Click here to order swatches. Hundreds of different styles and color combination bridesmaids dresses to choose from.